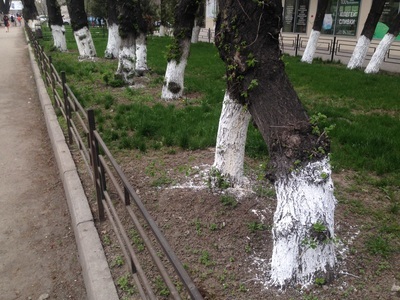 The trees of Almaty can thank Vladimir Lenin for the fresh-pressed look of their short white skirts. 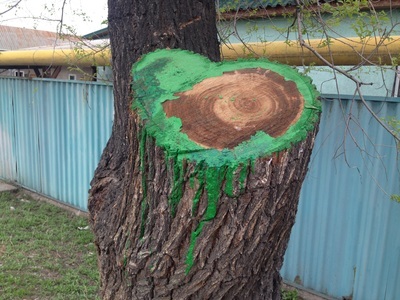 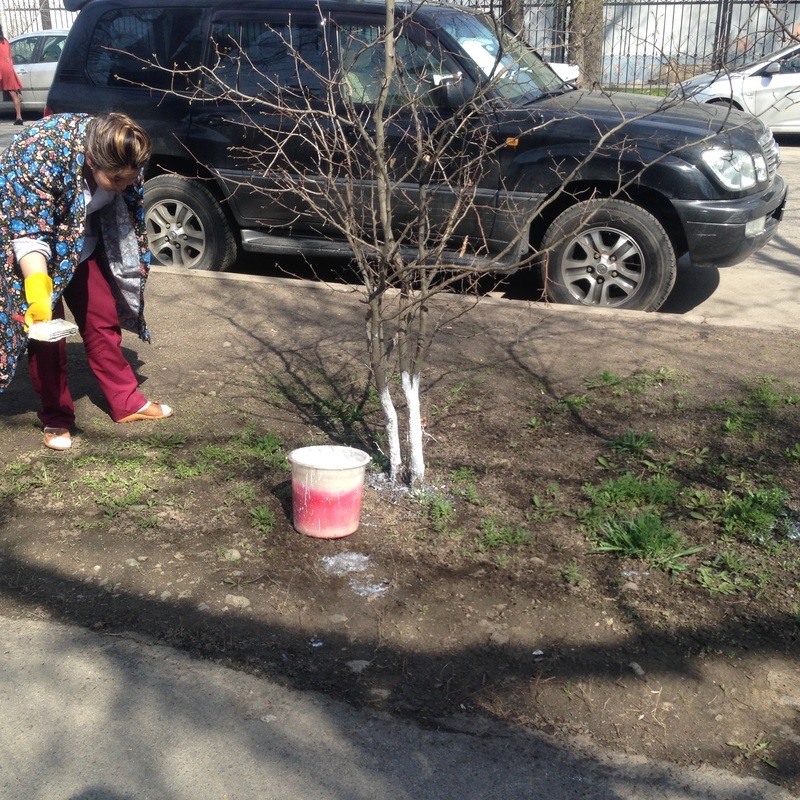 That's because the trees are regularly painted during subbotniki [субботники], a kind of communist community service day that derives its name from the Russian word for Saturday, subbota [суббота]. 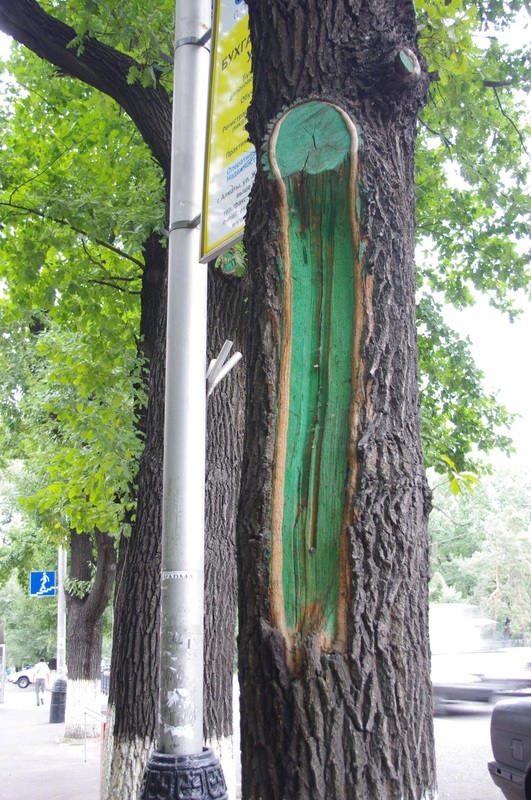 After the October Revolution, Bolsheviks in Moscow suggested that in their radical new state, citizens ought to regularly devote a Saturday to tidying their streets, and Lenin gave his wholehearted approval, showing up at the very first countrywide subbotnik to haul away old logs. 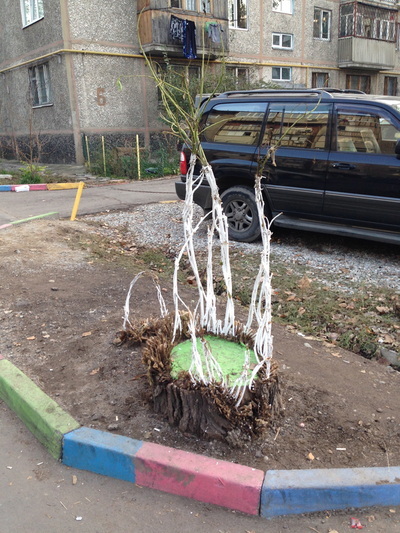 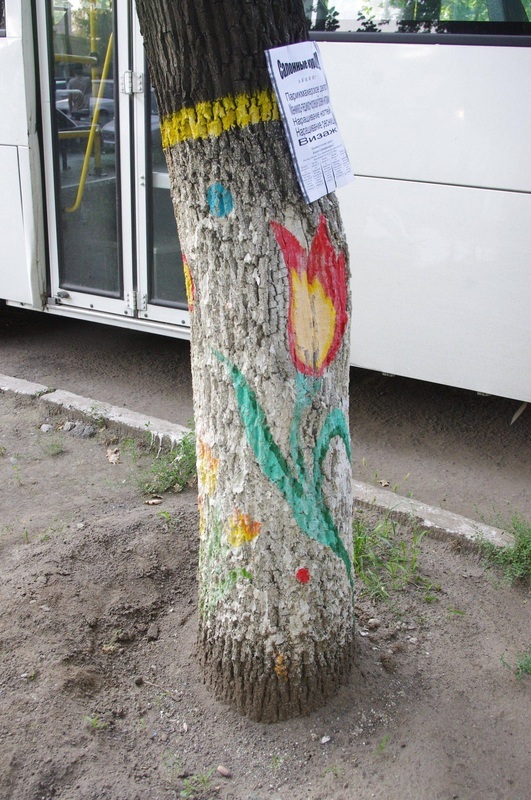 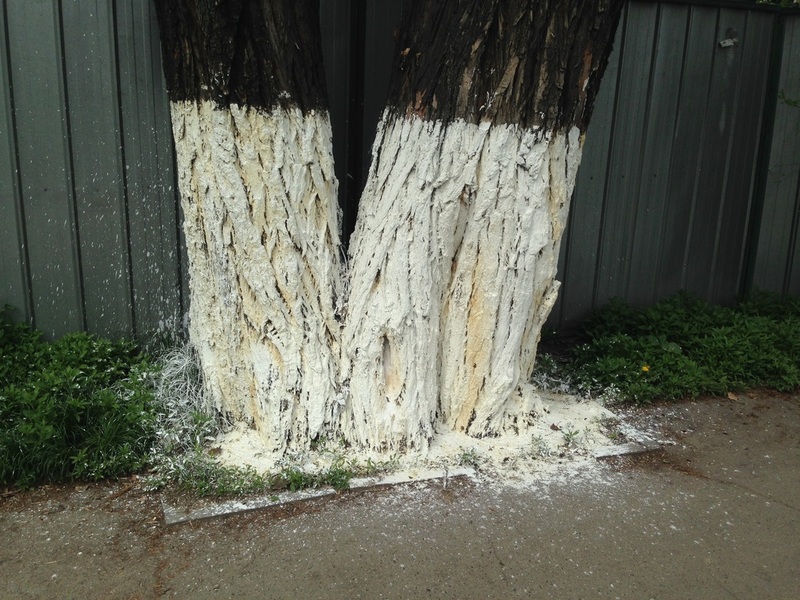 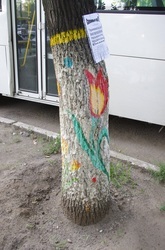 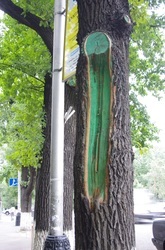 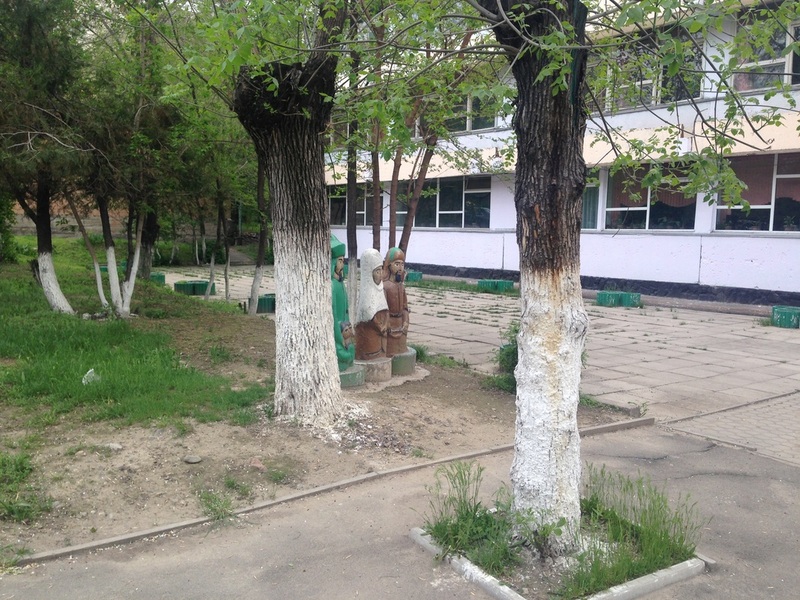 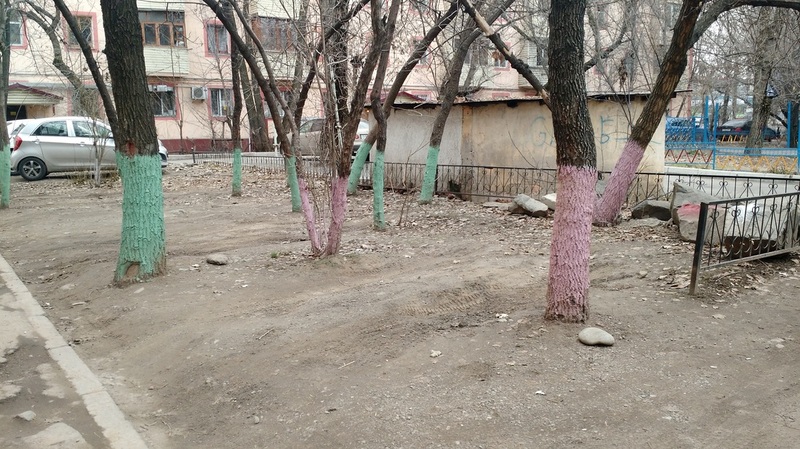 Since then, trees in Almaty continue to be whitewashed every year around Lenin's birthday, in honor of the original do-gooder. 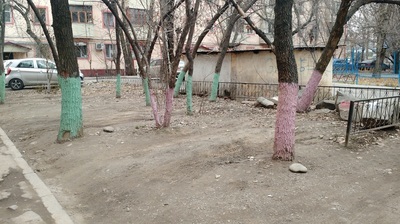 But why are the trees painted white in the first place? 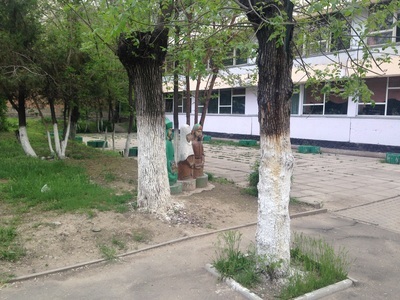 It's a landscaping feature that baffles many newcomers, who find their brown and green trees just fine as they are, thank you very much. 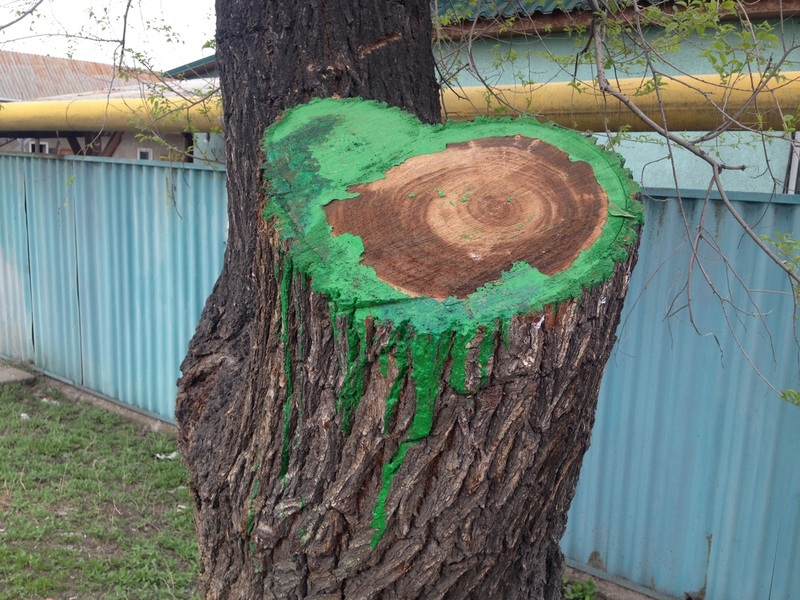 There's a variety of reasons. 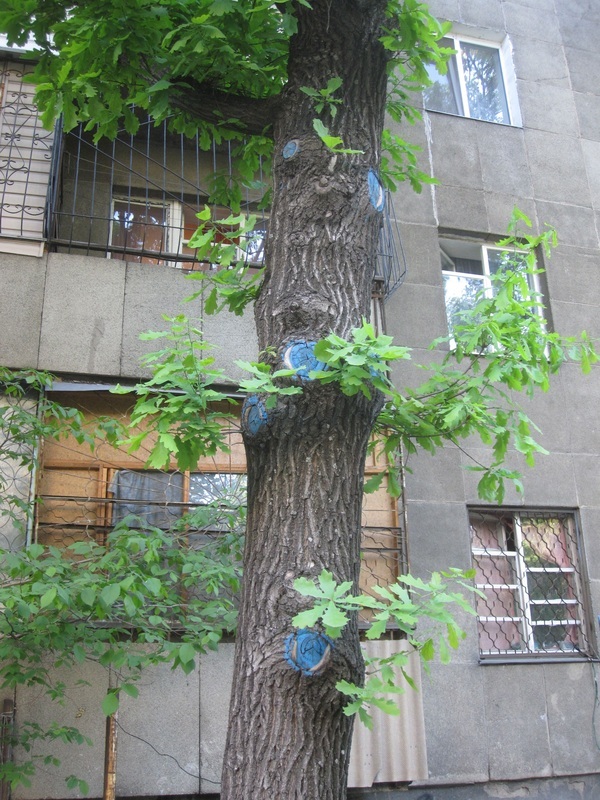 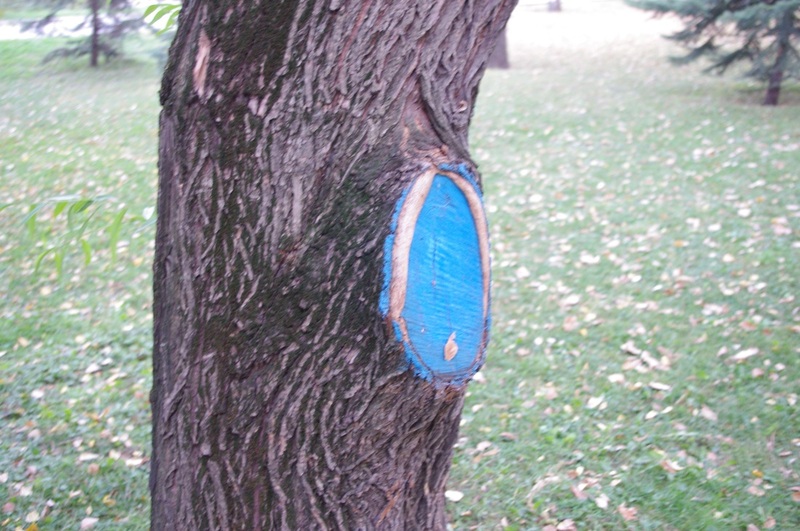 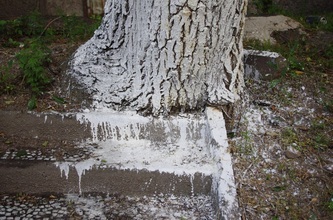 The whitewash [побелка; pobelka], traditionally made of slaked lime or a combination of chalk, copper sulphate, and glue, is put up in the spring to protect the tree from the onslaught of seasonal insects and to guard against future hibernating bugs. 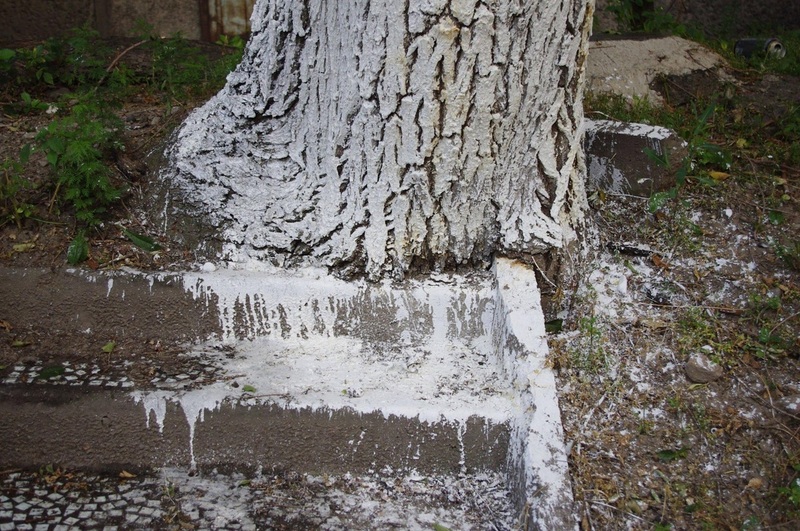 The paint, apparently, provides a layer that discourages insect chomping, or the color, taste, and smell might keep them away. 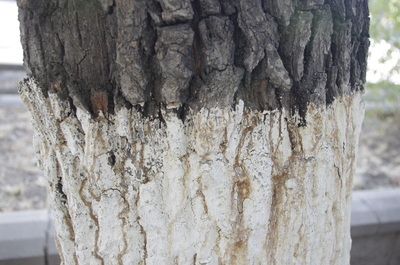 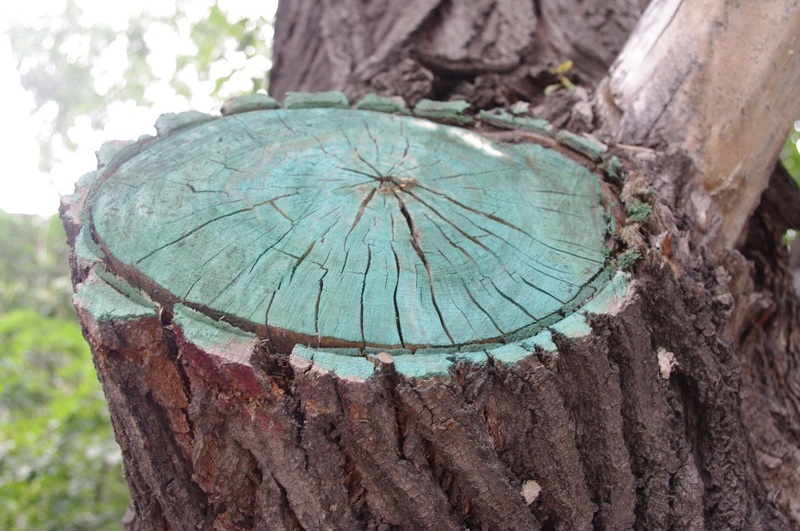 The second reason the stuff is splashed on the trees is to protect them from the harsh temperature variations of winter, when harsh sun can reflect off the snow and cause sunscald and freezing frost can attack the bark. 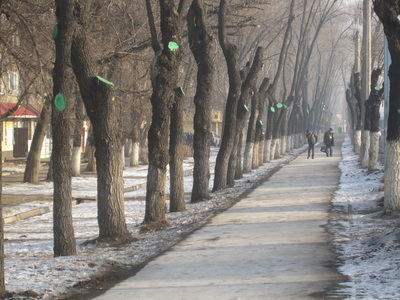 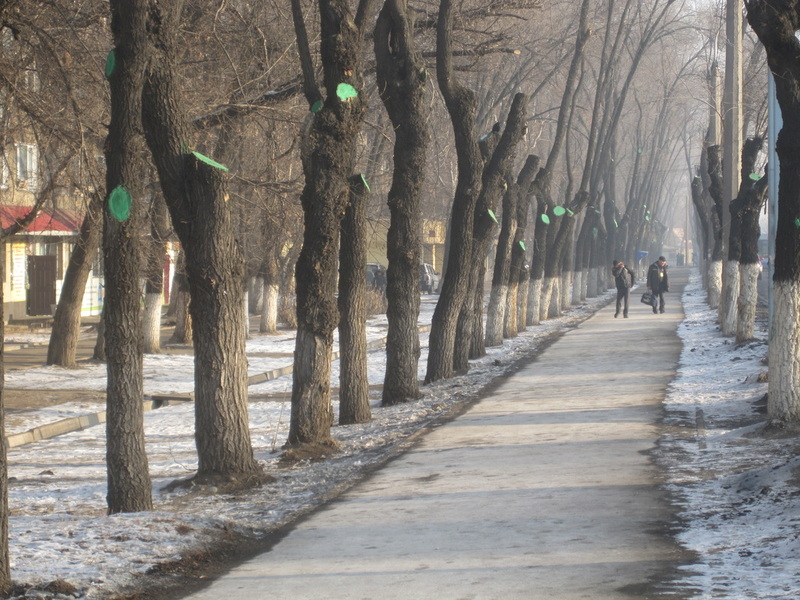 Walking Almaty readers have also submitted a third reason: on poorly lit roads, the reflectivity of the white trunks improves visibility.